Vacancy rates among warehouses and light industrial properties across the Inland Northwest remain low. So it's no surprise that we're seeing a lot commerce and industrial parks actively building. Spokane's own Playfair Commerce Park has built and leased several new spaces over the last couple of years and there is a new push underway to fill more vacant lots on the West Plains around the Spokane International Airport. That push to build new industrial buildings has even hit North Idaho as is evident by plans set forth by Riverbend Commerce Park near I-90 exits 1 and 2 in Post Falls. They recently started construction on a large new multi-tenant building to be called the Lemhi Building. This new building will have 50,000 square feet of space all divisible and likely available in August. The Lemhi Building is pre-leasing now for spaces 5000 square feet and up. 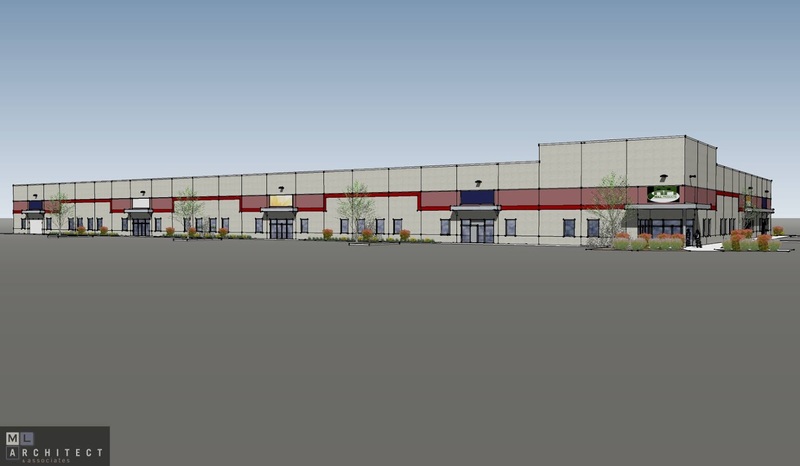 The spaces are leasing for 0.60 per square foot and include build out of a manufacturing floor, office and bathroom. The space can be used for many different types of companies, including new businesses just starting out. Loading docks, 24' 10" minimum clear height, LED lighting , on site parking and much more are included. And it's all just minutes away from Spokane with easy access to I-90.